On Sunday, Dec. 9, Bethel's Byrd's Books will celebrate its 7th birthday with an afternoon of fun and baking. 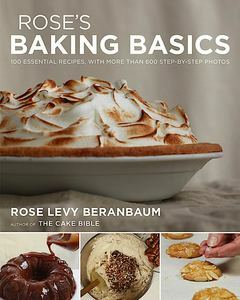 From 2 - 4 p.m., owner Alice Hutchinson and crew welcome writer Rose Levy Beranbaum to join them to discuss her latest cookbook, Rose’s Baking Basics: 100 Essential Recipes, with More Than 600 Step-By-Step Photos. But who will bake the cake? The award-winning author of the The Baking Bible, an International Association of Culinary Professional Best Baking Book of the Year, and The Cake Bible, now in its 54th printing, hopes you will! If you choose to buy the book and bake for the event from the book before you join in, you will receive a $20 gift certificate to Byrd’s Books when you bring your goodie and book to the event. The author will get the chance to sample your efforts, and so will the rest of the group. Boxes will be available for taking the fruits of all the baking efforts home for the holidays, so Byrd's Books encourages folks to bake small items like cookies to easily share. The Boxes can be purchased for $10, which will be directly donated to DAWS, Bethel's local no-kill shelter. The event is free, but registration is strongly suggested due to limited space. To save a spot and register, click here.